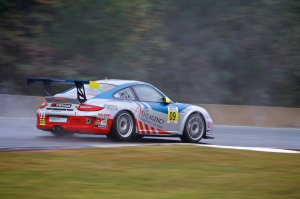 Braselton, GA – After a long and competitive season that saw the team score a podium result in every event weekend, Competiton Motorsports capped off the final race of the IMSA Porsche GT3 Cup Challenge USA presented by Yokohama in exciting fashion on the slick 2.54-mile circuit of Road Atlanta. 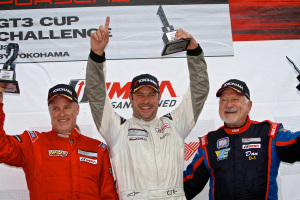 Alas, the final race brought heartbreak for Michael Lewis (No. 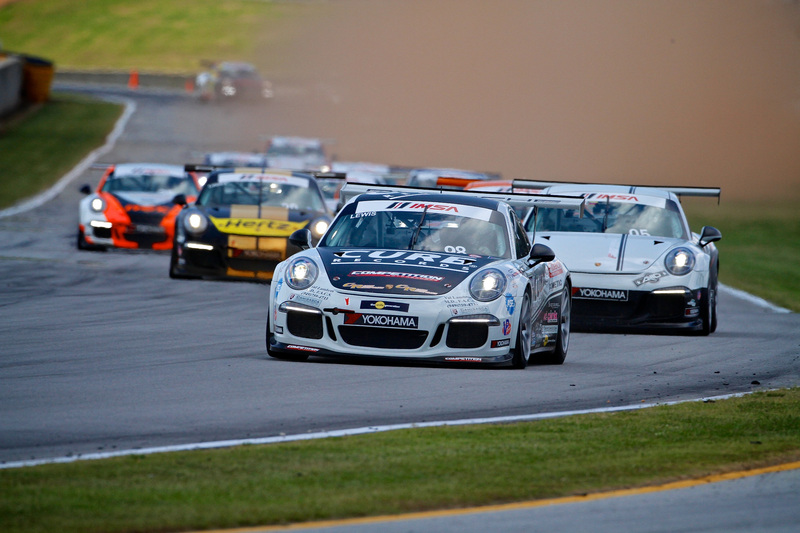 98 Competition Motorsports/Curb-Agajanian Porsche 911), who took the green flag leading the Platinum Class Championship by just one point. As the skies cleared of rain from the morning downpour, the track remained deceivingly slick and as the field raced to the green flag, Lewis got caught out on a slick line and made contact with the wall on the front straight, ultimately putting him out of the final race of the season and out of the fight for the championship. In spite of the disappointing season finale, Lewis’ exemplary first season still earned him third place in the overall championship. The remaining three Competition Motorsports drivers persevered through the wet conditions to drive home to the checkers. David Calvert-Jones (No. 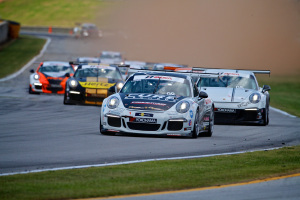 12 Wheels Up Competition Motorsports Porsche 911) highlighted the effort with a spirited drive that landed him his second Platinum Masters Class win of the finale weekend, despite contact from behind that robbed him completely of his rear bumper. Fred Poordad (No. 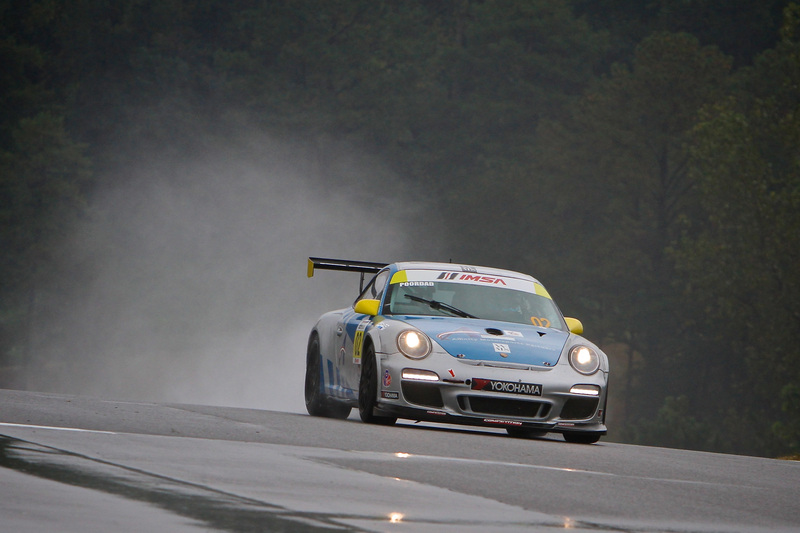 02 Affinity Motorsports/TLI /Competition Motorsports Porsche 911) wrapped up the season with just his second-ever race in the rain by scoring an impressive fourth place finish, while Blair Chang (No. 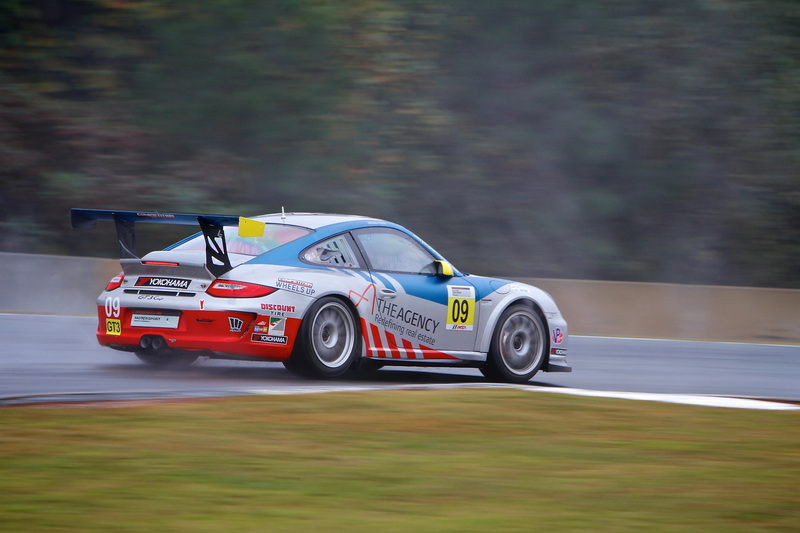 09 The Agency/Competition Motorsports Porsche 911) also fought through his second rain race to bring home a sixth place finish.